Read from April 10 to 18, 2015. I have successfully read all 3 of Gillian Flynn’s popular novels. At then end of this review I will rank the three of them based on which of the three I like best. Camille is a small time reporter in Chicago, with the hopes of hitting it big time. She is ambitious, blunt and abrasive, all great qualities for a reporter. However, she throws herself into work and into drink to stop from reminding herself of her estranged childhood and trauma. You start notice that Camille is plagued with scars of self-mutilation and her body is covered in words that she has carved into her own body. This behavior began in her teenage years and while she has since stopped cutting, she begins to reminisce when she is asked to report on the murders of some children back in her hometown, Wind Gap, a place she hasn’t been back to visit in eight years. When Camille was a preteen, she lost her sister Marion, to a strange illness. Marion was her mother’s favorite and Camille never received the same attention or love the way her sister did. If anything, her mother had more disdain for her in that she wasn’t a feminine and and well-to-do little girl like Marion. Camille was always headstrong and never did what she was told and perhaps some of her mother’s disdain for her came from the fact that her father did not stick around. Her mother, Adora, is cold, proper, re-married and still living in the Victorian home that Camille grew up in. Camille’s mother has another child in her new marriage to dote on, Camille’s half-sister Amma, who is only thirteen. Amma seems to be the doting daughter that Amma always wanted but she is a vicious but smart young girl. At least, Camille and Amma have one thing in common, they are both always living in the shadow of the dead Marion. Wind Gap is the type of town Camille was always anxious to get out of, a town where everyone knows everyone’s business and relationships are superficial so returning home, even temporarily was exceptionally difficult for Camille. Camille learns that two young girls went missing and were found murdered, but something doesn’t quite add up as both of the young victims had all of their teeth removed and were unmolested. She is able to get some extra information by liaising with a young and good looking FBI agent, Richard. Slowly, Camille starts to open herself up and begins a sexual relationship with Richard, however always fearing that he will reject her for her scars, she also starts to get quite close to Amma. This closeness unfortunately is going to blow the whole murder case wide open and Camille will learn things that she wished she had not. It was Camille that made this novel for me. While I’ve never self-mutilated I felt drawn in to her scars and her desire to cover them and hide. It reminded me of my worst years with dermatillomania. I just felt like I completely understood Camille and could relate to her entirely regardless of our different circumstances. I liked her tough approach to her life and even how she dealt with it. I appreciated that she had vulnerable moments in the book despite her facade. What Camille has lived through, what she has done to herself and what her family continues to do her to her is beyond tragic. She is not a typical protagonist by any means and I love her for it. I imagine that this novel made some people uncomfortable with its content. Here is Camille who is clearly a traumatized adult and hides nothing from the reader in terms of her desire to cut words into herself, then Amma’s behavior is pretty hard to stomach at times, let alone the way the two young girls in this small town were murdered, which, is why I love this plot. It’s unwholesome, brutal and honest. Flynn is never afraid to shed light into the darker areas of life and show that not all stories have a happy endings. I’ll just say this, it’s apparent that Gone Girl was the favourite for most people, it was also the one made into a movie, perhaps because more people felt they could relate to the crazy spouse? I do know know that the other two books are a lot darker. 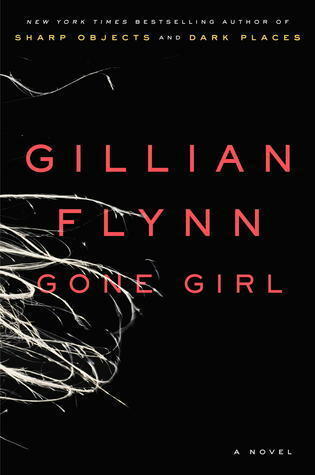 Personally, I feel that Gone Girl is lacking. I appreciate the wit it took to create the plot but I felt it didn’t have the same dark and mysterious appeal as the other two novels. I mean, the crazy spouse thing has been in a lot of mystery novels, though not quite the same way Flynn does it, so I can appreciate that, but I just found that I never came to like the main characters in Gone Girl. I remember not initially liking Libby in Dark Places but I found as a reader, I grew with her through the story. Libby didn’t even like herself in the beginning as the only thing she defined herself by was the horrible murders that happened to her family. I was hoping that I would eventually come to like the couple in Gone Girl and I never did so inevitably I didn’t care what happened to these awful people, regardless of the twisted circumstances they found themselves in. Sharp Objects brought back the same obscure darkness I came to love in Dark Places. Read from January 14 to 20, 2013. Well, this book caught me off guard! I really didn’t enjoy the first fifty pages of this book because the characters were so despicable and miserable! I could not find any basis of relation to them and therefore didn’t really cared what happened to them. That however quickly changed. Libby, as a child, becomes the lone survivor of a mass murder that affected her entire family. The murder was spattered over every piece of media and was a big deal for a lot of years. As a reader, you entire the story when Libby is an adult and has been living off money from the fame of her families murder. While you initially feel sorry for her it quickly fades when you realize that she is kind of despicable and has done absolutely nothing with her life. She just seemed to accept that her own brother Ben was responsible for the crime and that he was everything the media claimed he was. It’s not until she runs of money that she gets involved with a fanatical group of people who are interested in famous and gruesome murders that she really starts to wonder what happened and begins to unravel her past and back to that horrible day. 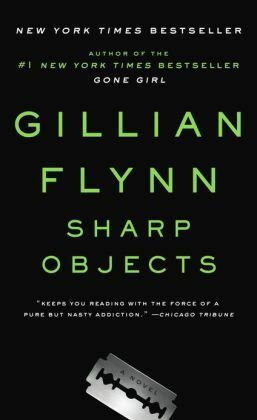 I believe that Flynn really captures the innate curiosity that people have with “dark places”, the unknown, as well as how far human anguish can be pushed, and the limits in which people’s wills and can be stretched. What initially kept me going through this book, was this fascination. I really wanted to know if everything that was being said about Ben was true, not because I cared about Ben or Libby at the moment, but rather I wanted to actually envision a person that was legitimately capable of performing such a murder and I wanted to know as much about the inner workings of this person as much as possible. As the story continued to unfold I did find myself beginning to feel empathy for the characters, and that, mixed with this curiosity made for one hell of a dynamite book. This novel is what the counterpart to a true crime novel would legitimately look like if it were written honestly. The true story, not the Hollywood sob story, of a victim of a horrendous crime; the remains of a broken human being that has never moved on and refused to accept her past. This is Libby. When Libby really started to actually deal with her horrifying past, is really when the novel starts to kick off and the ending is so rewarding after reading about how lifeless and miserable of a person she was. I found that in the end, this book is truly about redemption and forgiveness, not just of others or what has happened but forgiving ones self. Beyond all that though, this novel is a killer mystery! I thought I had it somewhat figured who the killer was, though I wasn’t sure of the motive at the time, I was so stunned with what actually unfolded and the series of events the brought it all about. Wow! Highly recommended for mystery lovers and those who like psychological thrillers! I look forward to picking up her other novels. Read from January 06 to 15, 2015. 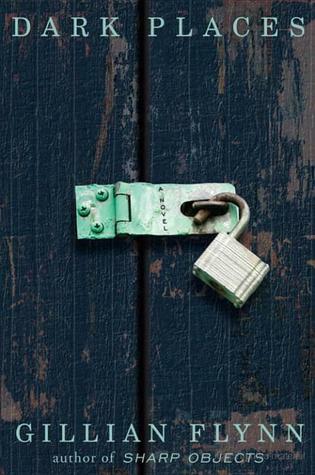 Gone Girl, is probably Gillian Flynn’s bestseller. While this book isn’t any less twisted than her other novels, this one has been made into a motion picture and it has a level of crazy that people are intrigued by. Flynn has an amazing knack to write about some very twisted and mysterious plots, making her one of the most popular and most read mystery/thriller authors around right now. Nick and Amy Dunne are about to celebrate their fifth wedding anniversary when Amy suddenly goes missing. After the couple both suffer lay-offs, they move to Nick’s hometown to be closer to his ailing mother. The move was not one that Amy wanted which just adds to the tension of their fumbling marriage. Things were not always that way with the two of them however. While Amy comes from a family of some money, thanks to a series of children’s books that were written about her by her parents titled “Amazing Amy”, her parents have been reckless with the money and found themselves in debt and are unable to assist the couple. When Amy goes missing, fingers start to point towards Nick, especially since things had been so tense before her disappearance. His demeanor with the press and police doesn’t help either as he appears cold and nonchalant about his missing wife. Did Nick do something horrible to his wife? Or is it one of the Amy’s crazed book fan stalkers? The end result, I assure you, is unlike anything you could have imagined. Amy and Nick are not particularly likable characters, a trait which Flynn is quite adept in applying with her other novels as well, yet she seems to be able to keep her readers curious enough about her peculiar characters that they continue on. I found that when I read Dark Places, I eventually came to really enjoy the lead characters and I was rooting for them by the end, however in this novel, I never came to like Nick or Amy, which is why I probably enjoyed this novel less. However, in typical Flynn fashion, I was intrigued enough to continue on. Nick is self-centered and emotionless and Amy is a bit of a snob, however, it’s still hard to watch their blossoming and seemingly perfect love dissipate so harshly just before Amy’s disappearance. Nick also does something pretty despicable, which I won’t spoil for you, which set me off of him for good. The ending of the book is the embodiment of twisted. I imagine Flynn just relishing in these perfectly wacko scenarios. You may not approve of the characters but you can’t deny the perfect calamity of the ending and feel some sort of weird satisfaction with it. I think this is the reason why Flynn is as popular as she it. She knows how interested and curious people are with the realm of the weird, borderline insane, or dark aspects of the human mind. I think the reason we are so intrigued is that deep down we know that we are all capable of doing some pretty messed up things, and what’s scarier, is that we could find a way to valid them too. Overall, I did enjoy this novel, though in my opinion it didn’t compare to Dark Places. It’s a sassy, psychological mystery-thriller that is sure to appeal to almost any reader. Now I just have to read Sharp Objects and I can pick my favourite!